(Reuters) – Iran plans to test about 1,000 advanced uranium enrichment centrifuges it has completed installing, a U.N. nuclear report showed, a move likely to worry Western capitals hoping for a change of course under the country’s new president. The U.N. atomic agency’s quarterly report – the first since relative moderate Hassan Rouhani won Iran’s June presidential election – also revealed developments that could help buy time for diplomacy between Tehran and major powers, however. 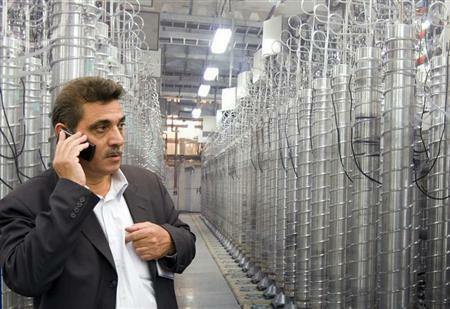 The International Atomic Energy Agency (IAEA) said Iran informed it a few days ago that the planned commissioning of the Arak research reactor – which could yield potential bomb material – had been delayed from early next year. „This is a positive development since the reactor would produce plutonium that, if separated, could be used in nuclear weapons,“ a U.S. think-tank, the Institute for Science and International Security (ISIS), said in a comment on the report. Further, Iran’s most sensitive nuclear stockpile has hardly grown – remaining below its arch-enemy Israel’s stated „red line“ that could provoke military action – since the previous IAEA report in May. Growth in Iran’s reserve of uranium gas refined to 20 percent was held back as Iran stepped up conversion of the material into oxide to make fuel for a medical research reactor in Tehran. The stockpile of 186 kg compares with the 240-250 kg which experts say would be needed for a bomb if refined further. „It is unlikely, at this point, that Iran could dash toward further enrichment to weapons-grade without the IAEA detecting Tehran’s activities,“ said the Arms Control Association, a Washington-based advocacy and research group. The IAEA’s findings still showed Iran pressing ahead with its nuclear program at a time when the outside world is waiting to see if Rouhani will increase transparency and reduce confrontation in its foreign relations, as he has pledged. Envoys accredited to the IAEA had cautioned against reading too much into the latest inspectors‘ report as it mainly covered developments before Rouhani took office in early August, succeeding the conservative hardliner Mahmoud Ahmadinejad. Separately the IAEA announced a resumption on September 27 of talks with Iran over how to get it to cooperate with an agency inquiry into „possible military dimensions“ to its nuclear work. There have been 10 fruitless rounds of talks since early 2012, but the next session will be the first with Rouhani in office. The machines were „under vacuum“, the report said, a key step towards starting them up. Iran’s progress in introducing advanced centrifuges is under close scrutiny in the West and Israel – which is assumed to have the Middle East’s only nuclear arsenal – because this would enable Tehran to speed up its accumulation of material that could be put to producing atomic bombs. It was not unexpected as „many people couldn’t believe the schedule. But it was the first time that Iran acknowledged this,“ an international official familiar with the issue said. The United States and its Western allies are pressing Iran to curb its uranium enrichment program, which they say is aimed at developing a nuclear weapons capability. Iran says its nuclear activity is for purely peaceful purposes. Campbell said he was affiliated with a company engaged in mining and selling of uranium, gold, and diamonds for export and communicated via telephone, Skype and email that he was seeking to buy processed uranium 308, also known as yellowcake, to be delivered to Iran, Miller stated. 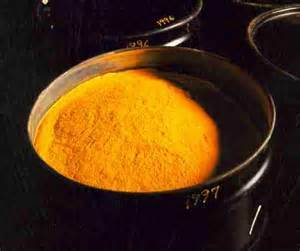 Yellowcake uranium, when enriched, can be used in the manufacture of nuclear fuel and weapons. The uranium was to be disguised in a mix with other types of ore. The shipment for delivery to the Iranian port of Bandar Abbas was to yield 1,000 tons of yellowcake, according to the criminal complaint. After his arrest, Campbell admitted to agents that he had engaged in talks for „a contract for the sale of uranium to be delivered to Iran,“ the complaint said. When confronted, he also admitted that he had brought a sample of the raw uranium ore with him concealed in his luggage. „Campbell assisted the agents in removing the Uranium from beneath the inside soles of his shoes and plastic bags containing Uranium were recovered from two of Campbell’s shoes,“ according to the complaint. A contract for the sale and delivery of the uranium was also found on a portable thumb drive in Campbell’s possession. 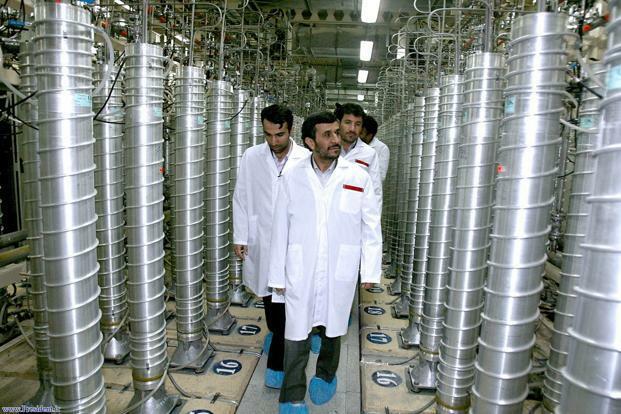 Iran Has 18000 Uranium Centrifuges! Dubai: Iran has installed 18,000 uranium-enrichment centrifuges, the country’s outgoing nuclear chief was quoted as saying by Iranian media on Saturday. The US and its Western allies are pressing Iran to curb its uranium enrichment programme, which they suspect is aimed at developing a nuclear weapons capability, but Iran refuses and insists its nuclear activity is for purely peaceful purposes. New Iranian President Hassan Rouhani, a former nuclear negotiator who oversaw a previous deal to suspend Iran’s uranium enrichment, has welcomed new talks with world powers over the programme but has insisted on Iran’s right to enrich uranium. A May report from the UN nuclear watchdog indicated that Iran had by then installed roughly 16,600 IR-1 machines in two separate facilities. The International Atomic Energy Agency (IAEA) in its last report in May said Iran had installed a total of 689 such centrifuges and empty centrifuge casings. From the start of his presidency, Barack Obama made reducing the world’s stock of nuclear weapons a priority, but that vision is now in shambles. Last week, we learned that North Korea is quietly expanding its uranium-enrichment capacity at the Yongbyon facility. Nuclear-watchdog analyses of satellite photos and other data show that while Pyongyang had 2,000 centrifuges there three years ago, it now has 4,000. This doubling of capacity will let the Kim regime build four enriched-uranium bombs a year. Analysts believe that Pyongyang has built fewer than a dozen plutonium-based bombs since it first tested a crude device in 2006. Now, with the more efficient enriched-uranium path, its capacity to threaten its neighbors is growing by leaps and bounds. Pakistan’s A.Q. Khan showed in the last decade how readily scientists can spread nuclear know-how. Meanwhile, as the North Koreans turn from plutonium to enriched uranium, Iran is moving in the opposite direction. The Wall Street Journal reported last week that, while the world has for years concentrated on the pace of Iran’s spinning centrifuges in secret enrichment sites like the Fordow facility, Tehran has quietly advanced plutonium production at its heavy-water plant in Arak — an alternate path that may allow it to build a bomb by next summer. Testing plutonium-fueled bombs is how India and Pakistan went nuclear in the late 1990s, when they broke the five-superpower monopoly on nuclear weapons and ended a balance of power that had lasted for most of the second half of the 20th century. Of course, Iran might just become “merely” a nuclear-ready power. The message will still be the same: We’re here, we’re nuclear, get used to it. As the world’s worst regime is set to further threaten East Asia, North Korea’s neighbors are unlikely to sit by and watch — especially when America is cutting naval budgets that once guaranteed their safety. Japan, for one, has all the technology it needs to become a nuclear power. For all the deep historical trauma in the country of Hiroshima and Nagasaki, Tokyo may have no choice but to get its own bomb as the North Korean threat grows. Ditto South Korea, Indonesia, et al. And as the Mideast sectarian wars heat up, Saudi Arabia, its Gulf neighbors and other Sunni stalwarts like Turkey are unlikely to let Shiite Iran become the neighborhood’s only nuclear power. As the club grows, going nuclear gets ever easier. Pakistan’s A.Q. Khan showed in the last decade how readily scientists can spread nuclear know-how. What about Obama? In 2009, Obama told Czechs in a Prague speech that one of his top goals as president would be to “seek the peace and security of a world without nuclear weapons.” He then pursued nuclear-arms-reducing pacts with Russia with all the enthusiasm of a 1980s “no-nukes” campus activist. Along the way, he angered those Czechs and other European allies, like Poland, as he scrapped missile-defense projects just to induce Moscow to sign those treaties. But signing those pacts didn’t shift the world’s course — because this era’s nuclear story isn’t about the size of US and Russian arsenals. And as he worked on his Moscow “reset,” Obama’s half-hearted attempts to reverse Pyongyang nuclear advances went nowhere. And he’s seen no progress on his declared goal of stopping Iran from getting the bomb, either. For now, Obama’s holding off on any Iran moves until he determines if Iran’s new president, Hassan Rouhani, is really-really serious about diplomacy. But the Arak heavy water facility is scheduled to go “hot” within months — at which point it would be virtually immune to bombings. So the US military threat may soon be nonexistent. And as for our North Korea policy — well, we have none. How far will the nuclear club grow? With so many less-savory regimes getting The Bomb, it’s going to be tough to keep them from proliferating next to top terror groups. We’re fast advancing toward a radical global shift, in which everybody and his uncle will possess history’s most destructive weapons. So, yes, War Is Bad For Children And Other Living Things. But no, the policy equivalent of hanging that poster on your dorm-room wall won’t stop it. This opinion article originally appeared in the New York Post . Benny Avni is a New York Post columnist. Baghdad, Asharq Al-Awsat—A senior figure from the Sadr Movement, led by Shi’ite cleric Moqtada Al-Sadr, said the movement was now the most powerful on the Iraqi political scene on Monday. He also said he was unsurprised by criticism of the Sadr movement from the prime minister’s party and elsewhere. Following the July attack on Abu Ghraib and Al-Taji prisons, in which more than 500 Al-Qaeda prisoners escaped, the Sadr Movement joined forces with Shi’ite cleric Ammar Al-Hakim’s Islamic Supreme Council of Iraq (ISCI). They announced that “the recurrent security breaches clearly demonstrated negligence on the part of those in charge of Iraq’s national security,” pointing to Nuri Al-Maliki, who also holds the defense and national security portfolios, as well as the office of prime minister. Khafaji’s statements also followed denials from the Sadr Movement of reports that Moqtada Al_Sadr planned to retire from politics. The movement said that Sadr had no intention of giving up political activity, and that his absence was due to his decision to undertake a religious retreat at the end of Ramadan. He assailed the U.S. for reviving the peace talks between the two. Khamenei’s audiotape comes on the back of a statement by Hassan Nassrallah, the secretary-general of the Lebanese terrorist group Hezbollah. The clerics ruling Iran believe that Khamenei is the one named in a centuries-old hadith who will prepare for the coming of the Islamic last messiah, the Shiites’ 12th Imam, Mahdi. According to the hadith, Israel is to be destroyed before Mahdi’s re-appearance. Mojtaba Zolnoor, an adviser to Ayatollah Khamenei in the Revolutionary Guards, has stated publicly that a number of the Ulama (Islamic scholars) and authoritative grand ayatollahs have announced that Khamenei is quite possibly the fabled “Seyed Khorasani.” According to the Islamic hadith, Khorasani is an individual from the region who is not only a companion of the Mahdi, but also is responsible for setting the stage for Mahdi’s re-emergence. A video revealed in 2011, “The Coming Is Upon Us,” showed regime intentions: change in the Middle East, destruction of Israel and the coming of Mahdi. The video, produced by the regime, was to be distributed in the Middle East. The Islamic regime, despite its public position on the destruction of Israel and despite several U.N. resolutions and sanctions by the U.S. and Europe, has expanded its illicit nuclear and ballistic missile programs. Reports indicate that the regime will not only achieve capability on intercontinental ballistic missile delivery – bringing the U.S. within its reach – by next year, but also the ability to arm those missiles with nuclear warheads. The West, while concerned about the regime’s nuclear program, still hopes to reach a peaceful settlement and has offered further talks over the issue with Iran’s new president, Hassan Rowhani, who took office on Aug. 4. In an Aug. 5 exclusive report, WND revealed a videotape of Rowhani in which he boasted of buying time during earlier negotiations with the West for the regime to build its nuclear program. Added by Laura Oneale on August 10, 2013. Zimbabwe is in violation of the international sanctions by signing a secret deal with Iran last year to supply uranium to that country, and this will cause anxiety in the Western world. Last year the President of Iran, Mahmoud Ahmadinejad, visited several African countries with the hope of striking a stronger union and easing the crippling burden of the imposed sanctions against them. He is trying to boost Iran’s economy. It was reported that both Zimbabwe and Uganda had something to offer Iran and several meetings and visits between the countries surfaced. A Memorandum of Understanding document has emerged and states that Zimbabwe will provide raw materials required to build nuclear weapons to Iran. The Deputy Mining Minister Gift Chimanikire told a British newspaper. Chimanikire is a member of the opposition party and will in all probably be replaced under the new coalition government. He also said that he was unaware of the uranium agreement signed last year, and it was only known to a few top government officials. Crippling sanctions are imposed against Iran by both the United States and the European Union over its nuclear program. Although Tehran has insisted their program is for peaceful energy uses only. Iran remains under harsh criticism from the Western nations for undertaking its enrichment programs to produce nuclear energy. Zimbabwe has received a lot of media attention lately regarding the general elections recently that appear to be corrupt and saw the Mugabe regime win another five years term. It is reported that the opposition party MDC has challenged the Mugabe landslide victory in a top court and is requesting a rerun of the election. Robert Mugabe has in the past endorsed the Iranian Nuclear Program, and has accused the west of trying to exploit the two countries for asserting their independence and wanting to manage their own resources. Zimbabwe remains under international sanctions that are proving to have an adverse effect on the country. Zimbabwe is guilty of damaging the basic human rights of its country’s citizens. The government of Zimbabwe has dismissed these reports claiming that a contract has been signed. There are some general cooperating agreements between the two countries for the energy, science, technology and agriculture, and it has been reported that the officials need to finalize the deals. It is noted that Zimbabwe would receive oil in exchange for its uranium deposits. 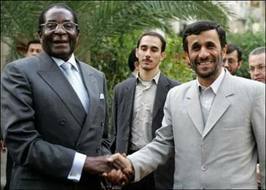 It is known that both Ahmadinejad and Mugabe are known for their controversial policies and anti Western style. Both of these leaders have clung to power by violent elections marred with allegations of fraud. Analysts have reported that it would not happen quickly, and that there are no uranium reserves ready for export from Zimbabwe. With Mugabe, we can never be sure of the truth and must tread cautiously as he remains a strong unwavering tyrant who will not allow the Western countries to dictate to him. He continues to state that the western world is oppressive and arrogant toward both Iran and Zimbabwe. Despite the long history of Shiite clerics attempting to influence politics in their communities, it is only in the past few decades that Shiites have witnessed clerics leading militias. The Iranian Fada’iyan-e Islam movement can be considered the first. This movement was led by a young cleric named Navab Safavi, and it targeted intellectual, religious and political figures who opposed its views. One of the movement’s most well-known victims was Ahmad Kasravi, an Iranian historian and linguist. Following the Iranian revolution, Safavi was transformed into a symbolic hero, leading many Shiite revolutionary groups to emulate him. Furthermore, the jihadist Muslim Brotherhood movements had a general influence on revolutionary Shiite parties. The Islamic Dawa party is the first example of an Iraqi Shiite party that has ties with Shiite religious figures. 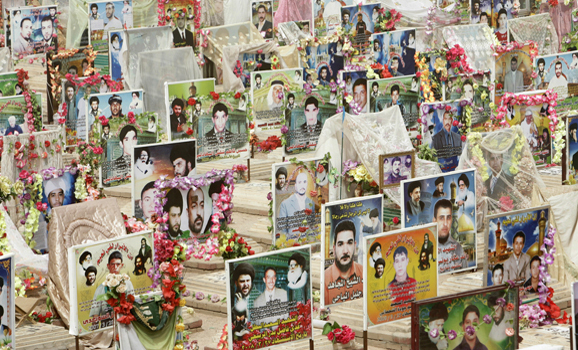 The party engaged in military actions against the former regime, which sometimes resulted in civilian deaths. In 2003, the Mahdi Army was established. This militia was led by Muqtada al-Sadr and became the first Shiite militia in Iraq directly led by a cleric. The Mahdi Army did not receive any support or acceptance from officials in the Shiite seminaries, and even faced criticism from Shiite authorities in Najaf. This was mentioned in a book titled „The Medical Therapeutic Journey of Sayyed al-Sistani and the Najaf Crisis,“ written by Sistani’s official spokesman, Hamid al-Khafaf. Between 2008 and 2011, I met with many leaders of Asaib Ahl al-Haq in Iran, where they receive training and where those injured in military operations receive medical treatment. Following the withdrawal of US forces, the group turned to political participation and changed its name to the Ahl al-Haq movement. The movement [continued to] target those groups they considered to be in violation of Islamic law. Muhannad al-Gazi, an Iraqi social activist, told Al-Monitor on July 16 in Baghdad that groups affiliated with Asaib Ahl al-Haq have targeted cafes in the Karada district of Baghdad since the start of Ramadan this year. According to Gazi, one of the attackers was killed during clashes with cafe owners. Gazi said that when one of the group’s members dies, they typically put up posters announcing the fighter was „martyred while carrying out his sacred duty.“ Moreover, there are frequent reports that Asaib Ahl al-Haq are participating in the sectarian fighting in Syria. Since February 2013, there have been announcements about the formation of new militias at the hands of a cleric named Wathiq al-Battat. The latter has also formed a political party named Hezbollah Islamic Renaissance, which aims to enter the electoral race to establish a religious rule in Iraq according to the Iranian model. This has also coincided with military action on the part of Battat against Baathists and those he described as „takfiris,“ according to statements made by Battat during an interview with the al-Baghdadiyah TV channel. Battat had previously been linked to the Badr Corps, which was the armed wing of the Islamic Supreme Council of Iraq (ISCI), and later to the Mahdi Army in its fight against the US Army in Iraq. According to statements made by Battat in the aforementioned interview, he spent a long time in Iran, where he obtained a master’s degree from a military college. He also said that some Shiite religious scholars supported him when he founded the Mukhtar Army. These scholars include the leader of the Iranian Revolution Ali Khamenei, Kamal al-Haydari, Fadel al-Maliki and others. This claim has neither been confirmed nor refuted by these figures. 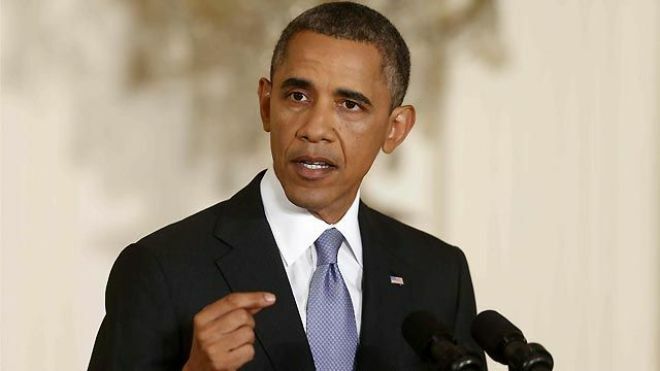 July 31, 2013 | 12:02 p.m.
Iran is poised to activate 5,000 more uranium enrichment centrifuges, increasing its count of the operating machines by more than 40 percent, the country’s departing president said earlier this week. 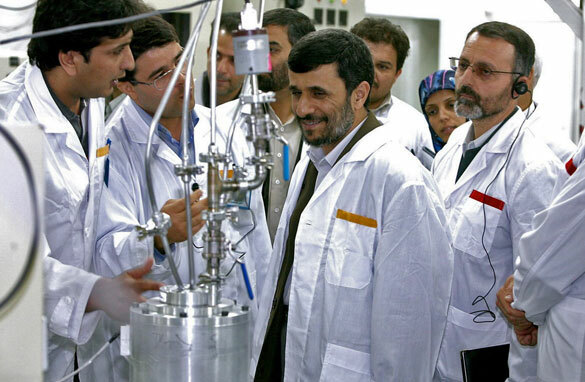 „Twelve thousand centrifuge machines are now running in our nuclear sites and 5,000 new centrifuges are ready to start operation,” President Mahmoud Ahmadinejad said on Sunday in televised remarks quoted by the Tehran Times. The Persian Gulf power’s refinement of uranium has been at the center of a years-long dispute with foreign powers — including the United States — because the process can generate nuclear-weapon fuel. Tehran insists its atomic activities are strictly peaceful. The fate of new punitive economic legislation targeting Iran appeared unclear on Wednesday, as many of its original backers have since called for delaying action that could undermine possible engagement after Iranian President-elect Hassan Rouhani takes office next week, the New York Times reported. Floor discussion of the bill is likely to start on Wednesday and a vote could take place on Thursday, said Megan Whittemore, spokeswoman for House Majority Whip Eric Cantor (R-Va.). However, House lawmakers might put off final action until after their summer recess, separate sources said. Meanwhile, an Iranian diplomat on Wednesday denied media claims that Russian President Vladimir Putin would meet with Rouhani in August, ITAR-Tass reported. Sajjadi said their governments had not conferred on potentially replacing a previously canceled S-300 air-defense shipment to Iran with more sophisticated technology, RIA Novosti reported on Wednesday. U.N. sanctions prompted Moscow to cancel an earlier S-300 delivery, which experts had suggested might guard Iranian atomic assets against potential airstrikes.